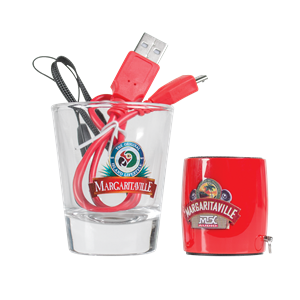 Stream Radio Margaritaville via Bluetooth right from your smart device or just control your favorite tunes with the built in remote track & volume control! 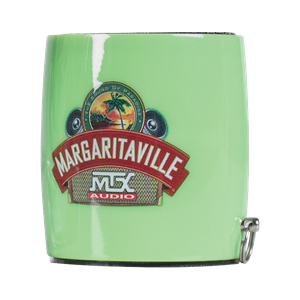 The NEW Sound Shot from MTX Margaritaville Audio can play as a micro Bluetooth speaker and take your picture as a remote control! If a picture is worth a thousand words, what is the soundtrack worth? It’s priceless right? 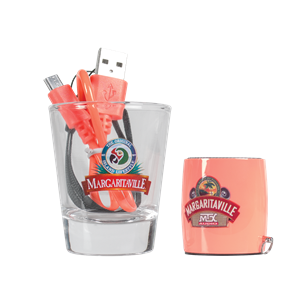 The NEW Sound Shot from MTX Margaritaville Audio can play as a micro Bluetooth speaker and take your picture as a remote control! 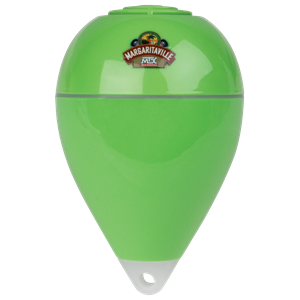 This little guy sounds amazingly big and loud! 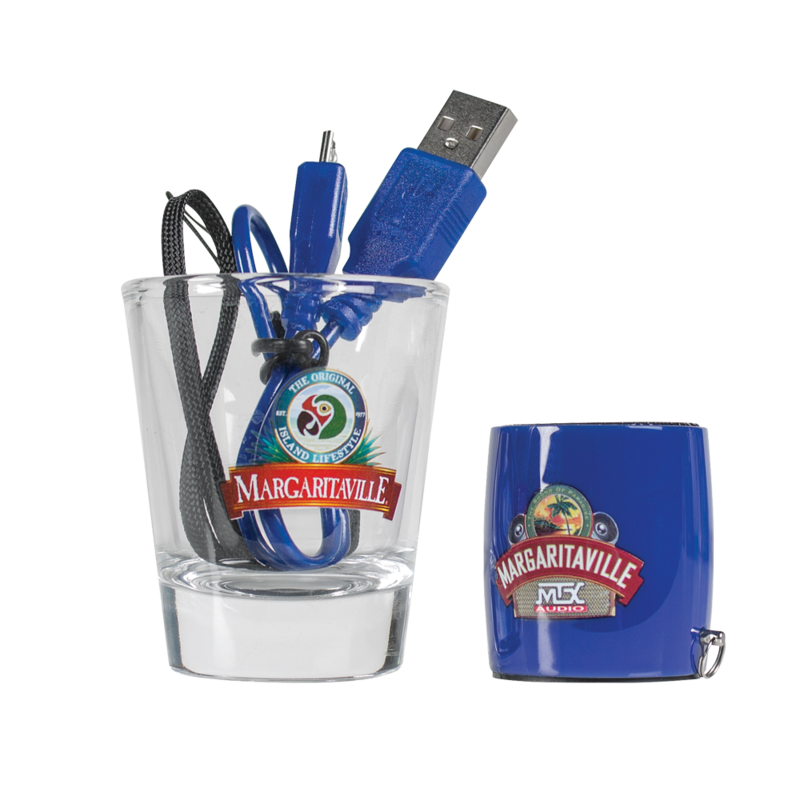 Crazy thing is it will even fit in your pocket, ultra portable & uber cool. Take the sound of paradise with you 24/7. 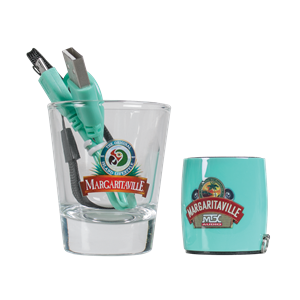 Stream Radio Margaritaville via Bluetooth right from your smart device or just control your favorite tunes with the built in remote track & volume control! Camera remote works with all Android® & iOS® devices or you can download the Google camera app for your smart device. It even works as a conference speaker when you have to get some work done. Dimensions 1.4" x 1.4" x 1.5"
They may see you coming before they hear you. 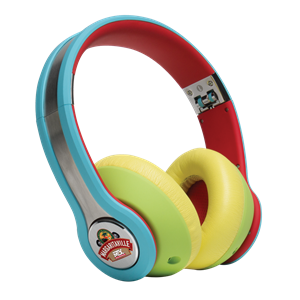 These headphones are ideal for any true Parrot Head looking to show their plumage in the city or in the wild. 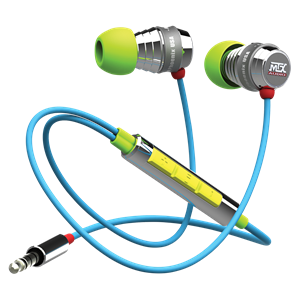 Cool and crazy are the best way to describe these earbuds that will surely be the rage at your next pool party! 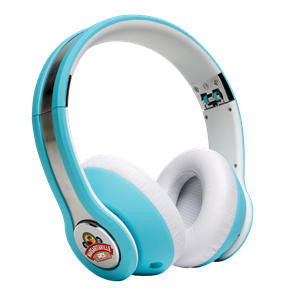 Delight in dreams of crystal clear waters as you sport these blue beauties that deliver style and sound.